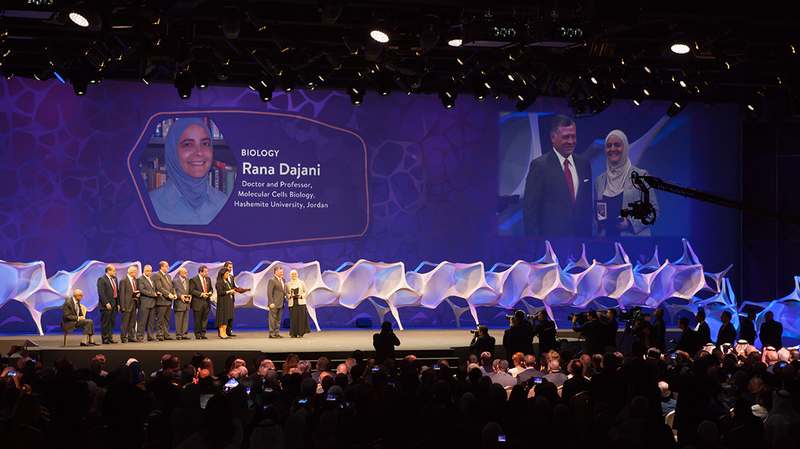 In November 2017, Jordan hosted the World Science Forum, one of the globe’s leading events for scientific research and policy. 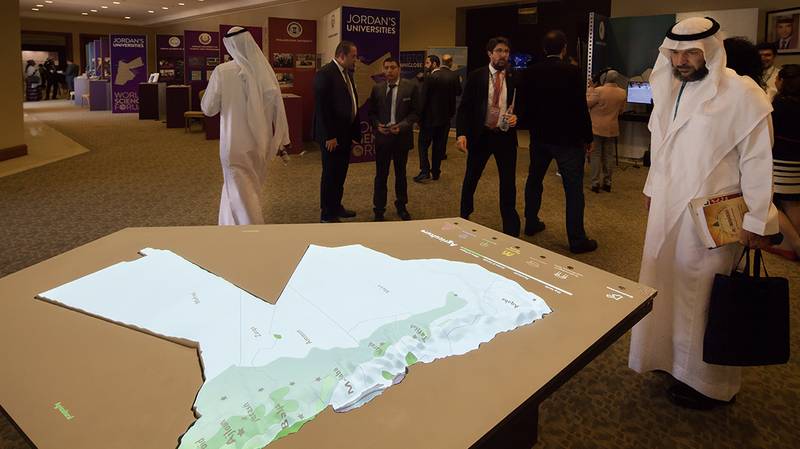 Over 3,000 delegates from 120 countries attended the Forum at the Dead Sea to explore the theme “Science for Peace.” Over five days the WSF examined the ways in which science crosses boundaries and brings people together around common issues. Thinc designed several exhibits for the event, providing an engaging context of local and relevant topics for the international audience. 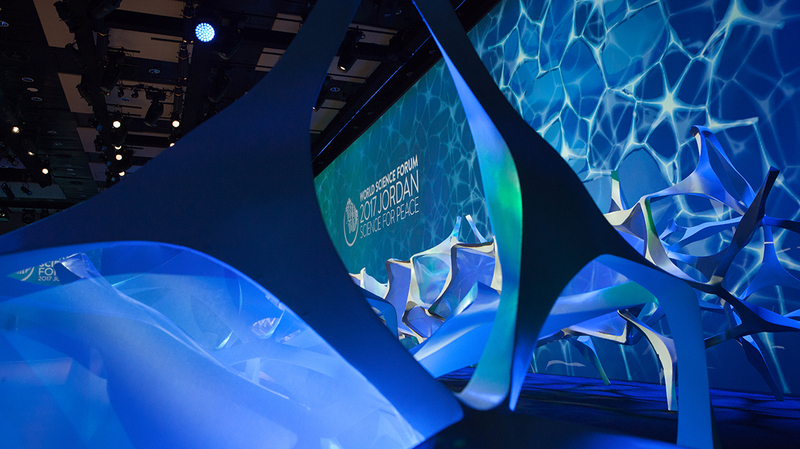 Our design for the main stage design was inspired by Jordanian scientist Omar Yaghi’s breakthrough research on metal-organic framework (MOF) structures. These incredibly porous materials have multiple, vital uses including the storage and separation of hydrogen, methane, and carbon dioxide, and in clean water production and delivery. 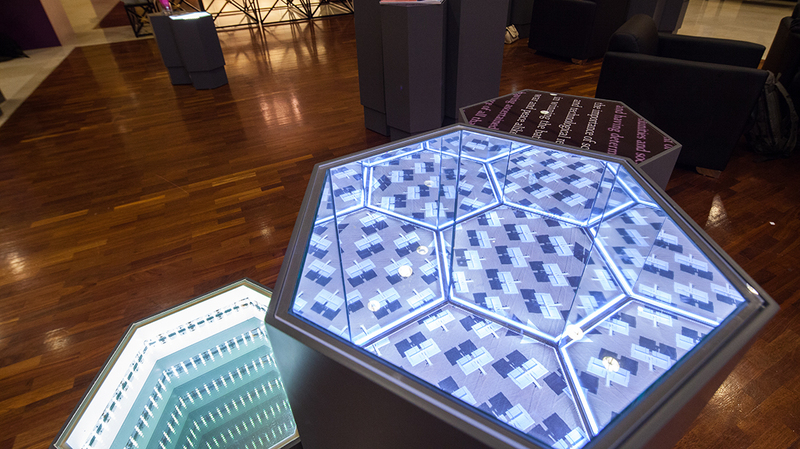 We also designed an exhibit celebrating Arab Women in Science, the Jordanian Science Expo, a Young Achievers exhibit, the Royal Scientific Society Lounge and Sci-Cine (a Science-Cinema experience).